Two of Dar’s leading art institutions have received a $375,000 boost. 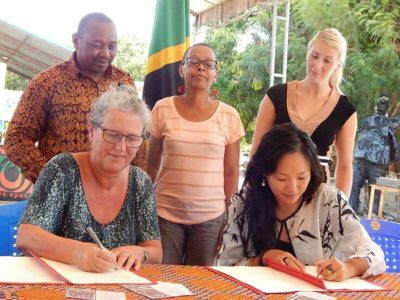 Muda Africa and Nafasi Artspace will get the funding, equivalent to 842 million TSH, from the Royal Norwegian Embassy over the next three years. “Culture is not only ‘something extra,’ something expendable – culture is a crucial building block in building vibrant human societies and national identities,” says Norwegian ambassador Hanne-Marie Kaarstad. Kaarstad says it’s important to develop free cultural expression and cultural diversity as well as encouraging expertise and professionalism in the cultural sector.